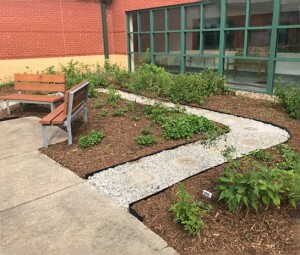 Stonehouse Elementary School Habitat is a Certified Wildlife Habitat which serves as an outdoor classroom, features over 80 species of Virginia native plants to teach about soil, conservation, habitats, life-cycles, native plants, environmental education, and other curriculum topics. 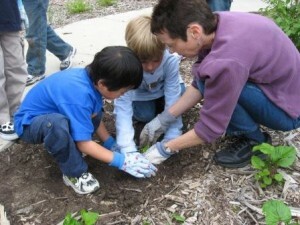 The Habitat was installed in 2004 by students, faculty, staff, parents and community helpers, and serves as an outdoor classroom for learning about habitats, soil, conservation, life-cycles of butterflies and other critters, environmental issues and other areas of the elementary curriculum. In 2008 the Habitat was recognized by the National Wildlife Federation as a Certified Wildlife Habitat for providing wildlife with food, water, shelter and a place to raise its young. In 2008 the Stonehouse Elementary School received the James City County Environmental Award for its recycling program and its environmental education and beautification efforts in the Habitat. The Habitat has received a Conservancy Award from the Williamsburg Land Conservancy every year since 2005. 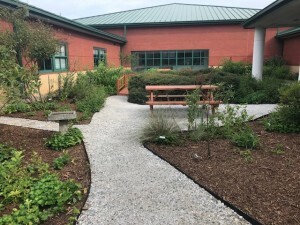 The Stonehouse Elementary School Habitat features native plants that attract, feed, and provide shelter and nesting sites for birds, butterflies and other wildlife. The Habitat was installed in 2004 by students, faculty, staff, parents and community helpers, and serves as an outdoor classroom for learning about habitats, soil, conservation, life-cycles of butterflies and other critters, environmental issues and other areas of the elementary curriculum. The schoolyard habitat project at Stonehouse Elementary was initiated by former Stonehouse Kindergarten teacher, Mrs. Julie Johnson. The Habitat was maintained for the first 9 years by volunteer and Virginia Native Plant Society member Jan Newton with the help of students in the Habitat Helpers program. Currently the John Clayton Chapter of the VNPS has a committee that oversees the Habitat maintenance. Not only does the Stonehouse Habitat aim to enhance learning, but also strives to help with erosion, conservation, preserving wildlife, and filtering water before it enters the Chesapeake Bay Watershed, as well as to foster an awareness of the environment along with relationships among students, faculty and local community. 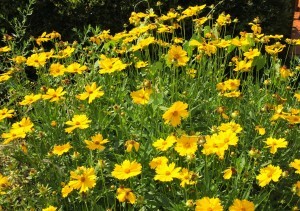 The Habitat is an example of how native plants can be used in landscaping. The Stonehouse Habitat is located in a courtyard of the school and is easily accessible. When the habitat was being installed, donated hen compost (and some llama poo!) was tilled into the mostly clay/sand soil to add nutrients and allow the soil to better retain moisture. Likewise, donated mulch was applied (3-4 inches deep) to conserve water, cut down on weeds and to help reduce the amount of erosion in the area. 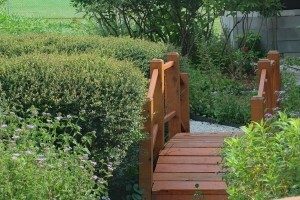 Plants were strategically placed around the two-foot square drain and throughout the garden to help soak up and filter water, as well as to keep mulch out of the drain. 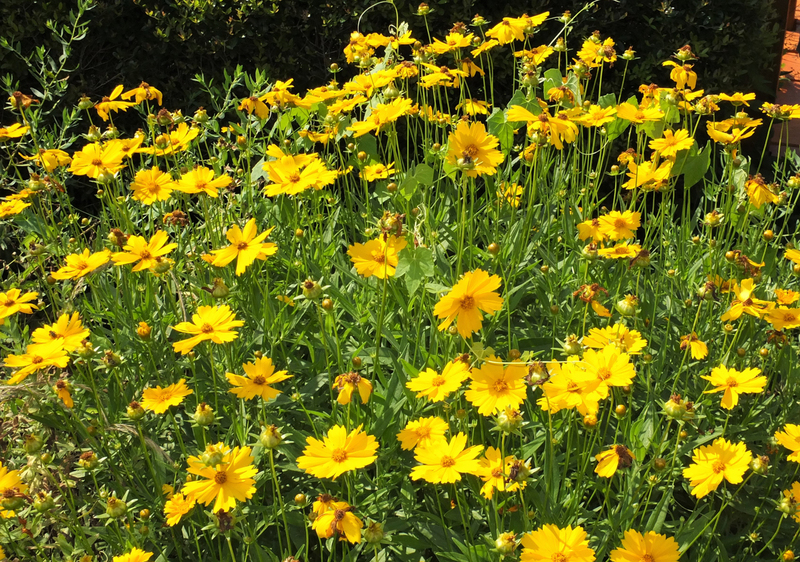 Wildlife benefit, as well as seasonal interest was kept in mind when designing and choosing the Virginia native plants for the Habitat. 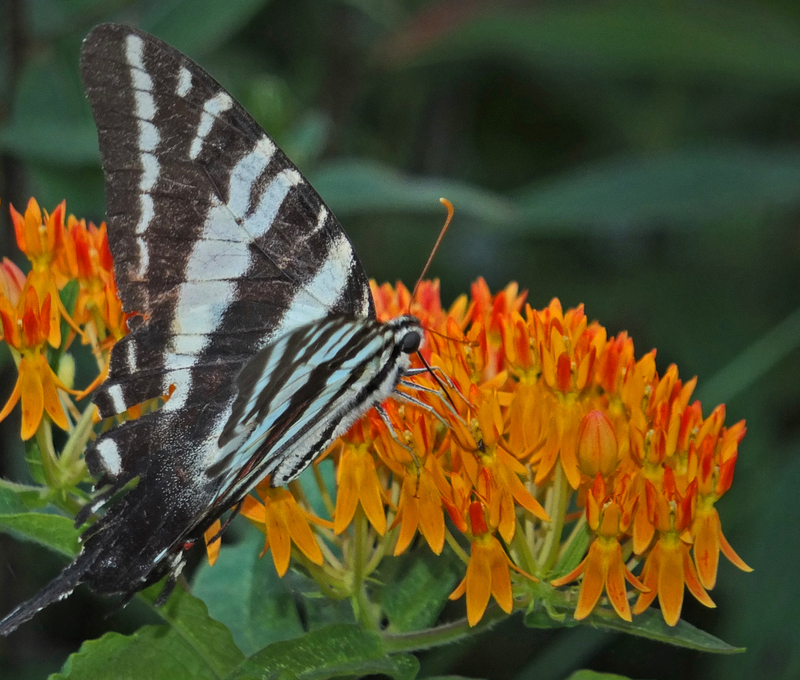 The Habitat has had numerous bird’s nests and has been home to countless numbers of black swallowtail, fritillary, spicebush and monarch caterpillars, toads and tree frogs. 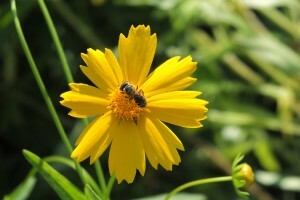 Butterflies, ladybugs, praying mantises and many other insects have also been living in and feeding in the Habitat. Bluebirds have raised their young in one of the bird houses and baby rabbits have lived in the Habitat. In addition, fritillary caterpillars have fed on passionflower vine and common blue violets, birds have been eating winterberries, service berries and various seeds, insects and caterpillars, and hummingbirds enjoy the nectar from coral honeysuckle, bee balm, wild columbine, obedient plant and cardinal flower. A groundhog was found burying in the Habitat and a black rat snake has been seen looking for bird eggs. The Habitat has received several awards and grants over the years and was recognized as a Certified Wildlife Habitat by the National Wildlife Federation in 2008. 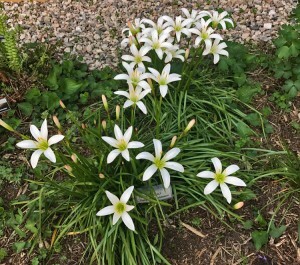 The area has also been the site of several native plant walks opened to the community sponsored by the John Clayton Chapter of the Virginia Native Plant Society. As the plants in the Habitat keep maturing and growing, we plan on seeing and learning about more and more different species of wildlife. The community is welcome to visit the Habitat after school hours (when school is in session) or on the weekends. 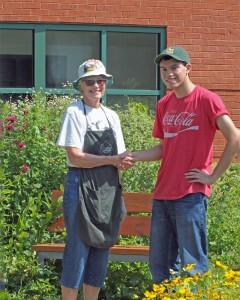 We also like community volunteers to help and learn in the Habitat. If you are interested in helping, please contact the John Clayton Chapter of the Virginia Native Plant Society.